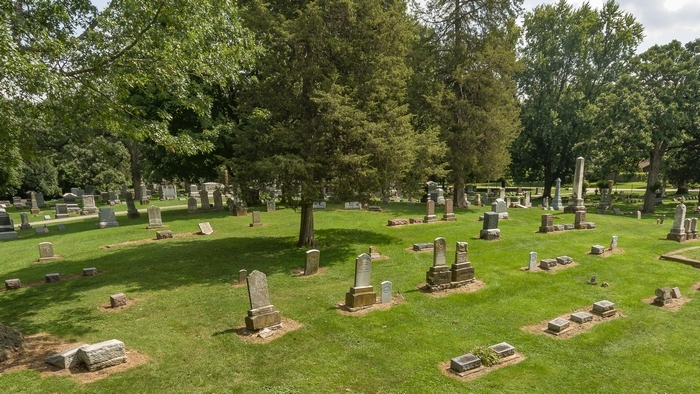 The Cowdrey Cemetery, located in the southeast quarter of the southwest quarter of section 26, Oswego Township, began its existence as the Morgan family burying ground. Ebenezer Morgan traveled west from New York in 1831 prospecting for land. He and Earl Adams traveled by steamboat down to the Ohio and then up to the Mississippi to St. Louis where they purchased horses. Riding up the Illinois River to Ottawa, they continued up the Fox River to the present site of Yorkville, where Adams drove his claim stakes. Morgan continued up river another two miles to a small creek where he claimed land. The pair did not return with their families until 1833, where Morgan claimed 1,100 acres of land bordering the creek named for him–Morgan Creek–all the way to the Fox River. Morgan built a sawmill on the small creek, farmed, and became prominent in local politics, serving as Oswego Township’s first supervisor in 1850. 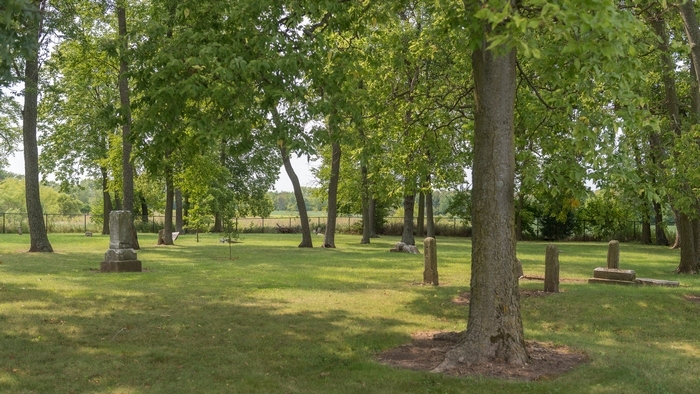 The Doud Cemetery is located in the northwest quarter of the southeast quarter of Section 24, Oswego Township on Minkler road just south of its intersection with Ill. Route 71. 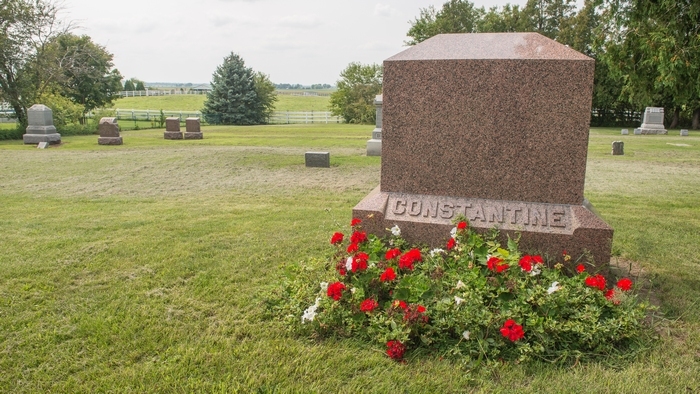 The cemetery was opened as a small family burying ground named after the Doud Family, who owned nearby farmland, in the 1840s. 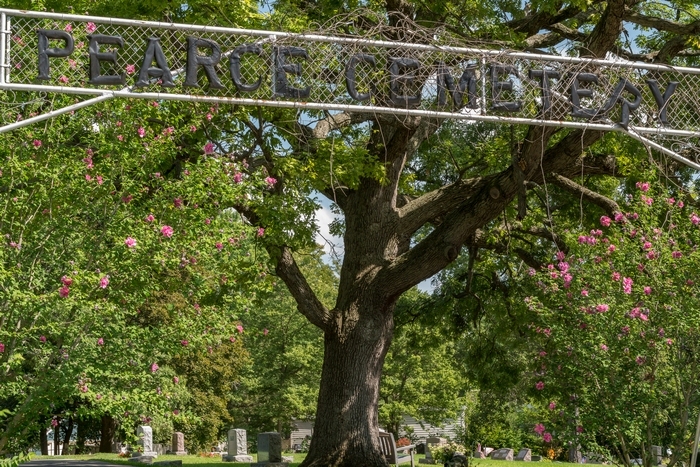 Only 22 burials have been recorded in the Doud Cemetery. The first burial was Mrs. Daniel Hubbard in April 1841. The last burial in the cemetery was Mrs. John A. (Louisa) Newell in May 1907. In June 1850, the newly organized Albright Methodist congregation established by several German immigrant families on the Oswego Prairie about three miles east of the Village of Oswego, purchased two half-acres of land straddling the section boundary between Oswego Township Sections 14 and 23. The land was purchased from Hem, Hafenrichter, Burkhart, and Haag families. A small, square timber-framed church was built on the western half-acre and a cemetery was established on the eastern plot. The first burial in the new cemetery was the remains of 13-month old George Haag in mid-August, 1850. 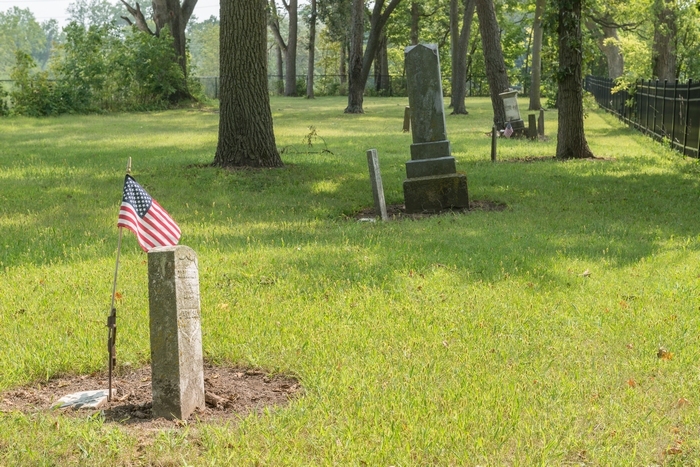 The Oswego Cemetery was laid off and donated to the village about 1835, by early Oswego settlers Morris Gary, Lewis B. Judson, and Levi F. Arnold, who owned the land. About 1846 it was included in Loucks’ and Judson’s addition to Oswego, and the site became the northwest corner of Madison and Benton Streets. In 1855, Judson opened another cemetery in the grove of oak trees just north of his home, naming the new cemetery Oak Grove Cemetery. Judson sold the first burial plot in the new cemetery to Jesse Holt for $3. The remains in the old cemetery were gradually transferred to the new one, until it was considered completely vacated. In 1856 the Oswego Baptist congregation built a new church on the old cemetery site. The Pearce Cemetery, another family burying ground, was established in 1845 in the northeast quarter of the northeast quarter of Sec 17, Oswego Township on land owned by pioneer settler Daniel Pearce. Daniel Pearce, along with this brothers John and Walter, and their brother-in-law William Smith Wilson were the first permanent settlers in Oswego Township, arriving in the spring of 1833. 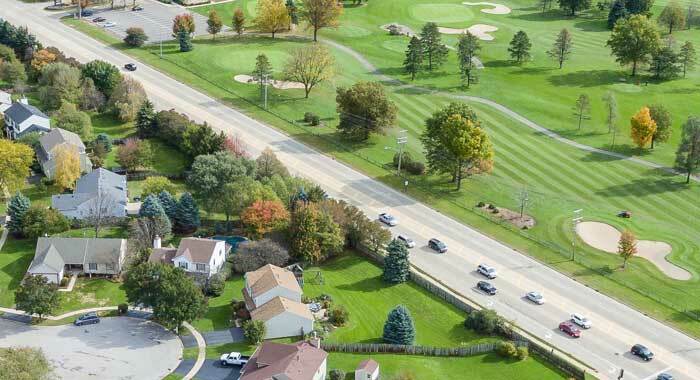 The cemetery is situated just above Waubonsie Creek on Pfund Court, named after the Pfund family. The Wormley Cemetery, located in the southwest quarter of the southwest quarter of Section 5, Oswego Township, was begun as the Wormley family burying ground and is one of the oldest cemeteries in Kendall County. The first recorded burial was John Wormley, who died in October 1836, the son of early settler William Wormley. Very few bodies remain in the Wormley Cemetery compared to the number in earlier days. 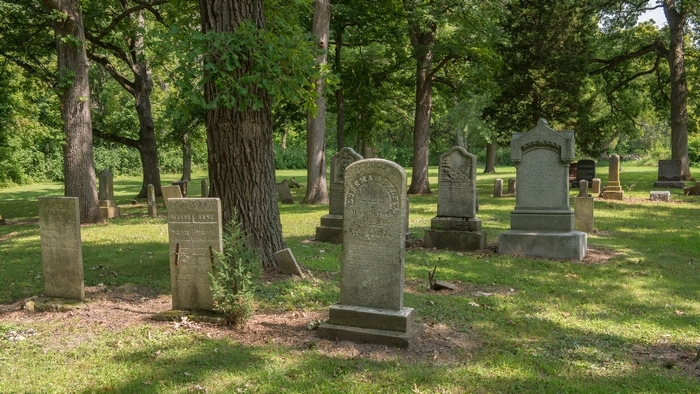 Families began removing burials from the cemetery in the late 1800s.